K & A International have been specialising in Greek Removals for over 30 years. We offer a full door to door/room to room Greek removals service. We service all regions of mainland Greece and depart weekly. 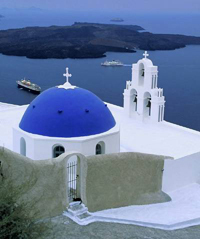 We also depart weekly on our removals to the Greek islands service. We are a Greek owned company based in the UK with offices in Greece, and work with partner companies across Greece and the Greek islands, ( some of who are life long friends, colleagues and even family ) to offer our clients unrivalled Greek removal services. All staff are fluent/bilingual in English and Greek giving us obvious advantages over non Greek owned removal companies. Our office staff and delivery crews have excellent geographical knowledge of the UK and Greece, including local knowledge in many areas. We offer full load, part load and single item delivery solutions with collection and delivery from all regions of the UK and Greece. Fully insured and commited to to the highest levels of service.